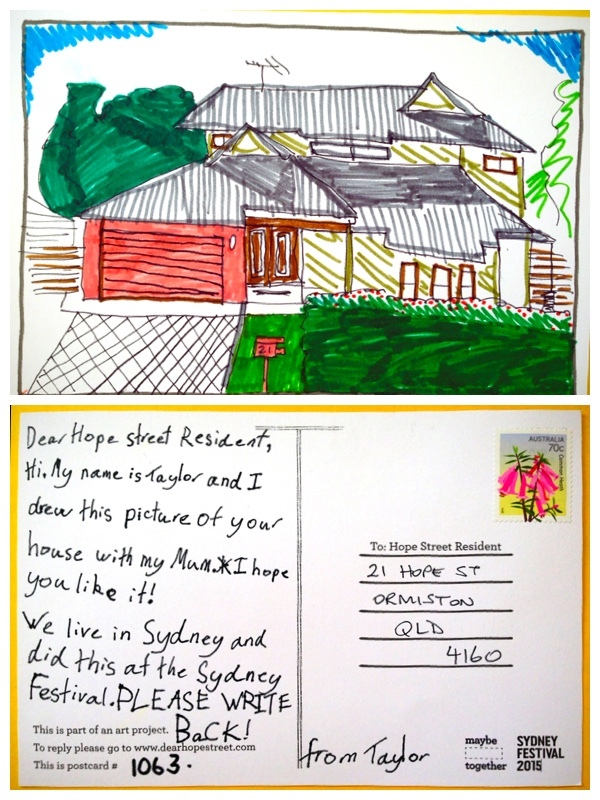 thanks for the post card I really like your drawing of our house. It was a big surprise to receive it in the mail today. At first it was kind of freaky because we didn’t know about the dearhopestreet project but I think it’s lucky that you chose our house. So thank you! I’m glad you liked my picture. Thank you for sending this reply, because if I hadn’t gone to the Sydney Festival, I wouldn’t have done this for you. It was fun & exciting.